Aside from the implications of the bill Indiana Governor Mike Spence signed into law that allows businesses to refuse service to gays as a weapon to fight against government civil overreach, you have to be amused by the way lawmakers across America create jacked-up pieces of legislation, and then dress them up to sound promising to all. The Religious Freedom and Restoration Act? Sounds like (almost) everyone in Indiana can benefit from this law, right? Except we need to revisit those implications, which are broader than discrimination against gays. Let’s briefly look at history first. The days of Europe’s colonization of Africa and the America’s enslavement of Africans were justified at the time by recalling the curse of Ham in the Bible. A widely discredited theory today, the white supremacists’ interpretation of the story is quite simple—Ham was Black; therefore, People of African descent were cursed and relegated to the service of whites. The curse of Ham is not ancient history—the story was used to justify segregation in the South, and has been used by fundamentalist Christian leaders to catalyze modern congregations. Also, read this. 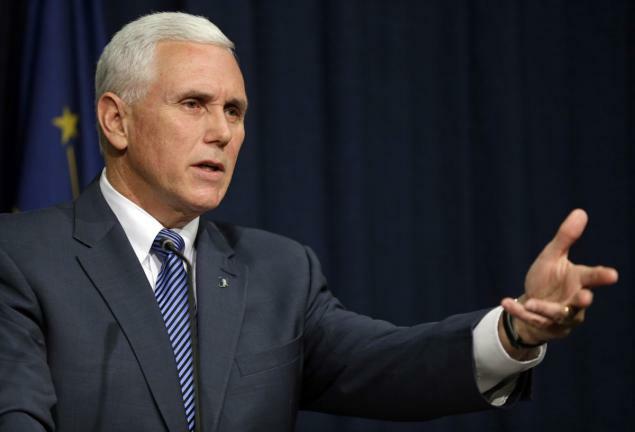 Back to Indiana’s new law—how do those implications feel at the moment? Perhaps they make you think that 1950s America never really disappeared? By the way, Indiana is not the only state that supports religious-based bigotry. This entry was posted in Politics, Race, Society and tagged discrimination, indiana, mike spence, Racism, religious freedom and restoration act, segregation. Bookmark the permalink.